Old Settler’s Music Festival begins in just nine days — Thursday, April 14 — at the Salt Lick Pavilion & Camp Ben McCulloch in Driftwood, Texas. 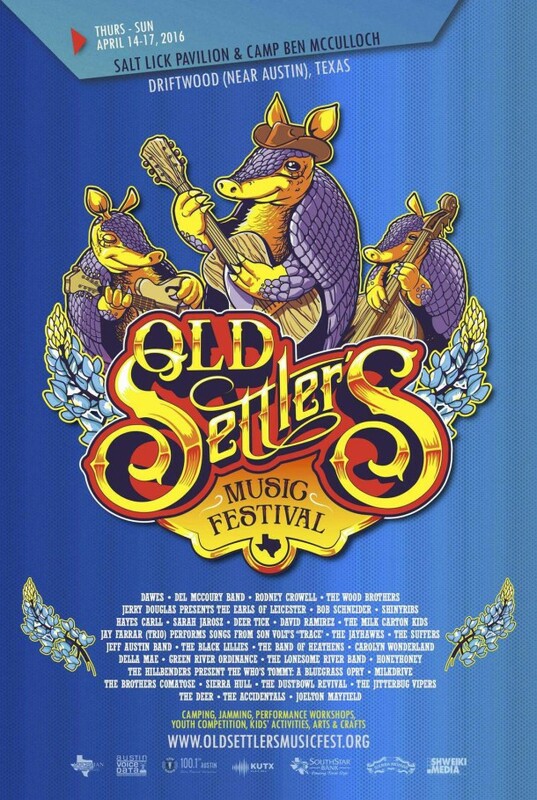 Join us for the 29th Annual Old Settler’s Music Festival. Camping, jamming, performance workshops, kids’ stuff, craft beer and gourmet food, and much more. Tickets for Friday, Saturday and Sunday are available as single days or in an economical 3 day package. We are almost sold out of camping passes. A few platinum passes are left as well. Platinum passes get a 4 day camping pass, a car camping pass, an electrical permit, backstage privileges with free drinks and food at the Salt Lick on Friday & Saturday, a special viewing area at the Salt Lick, and a commemorative t-shirt and poster. For tickets, go here. RajiWorld and our sister agency Compass Sponsorship Stewards would like to thank our 2016 sponsors!